In 1959 Piero Manzoni and his then fiancée, fellow Italian artist Nanda Vigo, drove from Milan to Düsseldorf to meet the German artists Heinz Mack and Otto Piene, the founders of the Zero group. Zero wanted to break down boundaries, especially national borders. It is appropriate therefore that the Switzerland-based Italian gallerist Stefano Cortesi, and his sons Andrea and Lorenzo have – after a trans-European trip to amass Italian, German, Dutch, French and Belgian works – brought Zero into focus at their new London gallery. The show’s curator, Marco Meneguzzo, calls Zero ‘a perpetually-moving galaxy of artists’. This constellation is given form by Heinz Mack’s 1971 diagram which connects Zero with the Milanese Azimut and Gruppo MID, the Parisian Nouveau Réalisme, the Frankreich-based Group de Research d’Art Visuel, the Dutch Nul group, as well as other major and minor contemporaries. In the wider atmosphere around these clusters are older artists including Lucio Fontana and Jesús Rafael Soto. The Cortesi exhibition, entitled ‘Zero Atmosphere’, includes this broad spectrum to present Zero’s climate of experimentation in a compact format – an easily digestible précis of a movement explored in greater detail at the major retrospective currently at the Martin-Gropius-Bau in Berlin, and previously at the Guggenheim Museum in New York. Early pieces by the core Zero members Piene, Mack and Günther Uecker show how they gave form to immateriality, painting with smoke, metals and nails respectively. Piene used grids to give structure to works made with smoke, merging rigour and chance. 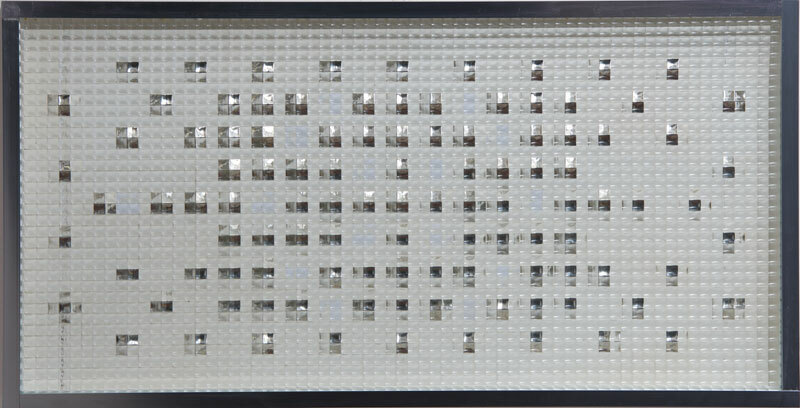 Uecker’s 1961 work in nails is one of his first; the jumble of nails predates his more precisely structured creations. Mack’s abstract paintings of 1957–58, which combine blurred paint with a grid-like form, prefiguring Gerhard Richter, lead seamlessly into the reflected light of his aluminium constructions. An interest in light, which is at the intangible heart of Zero, permeates the exhibition. 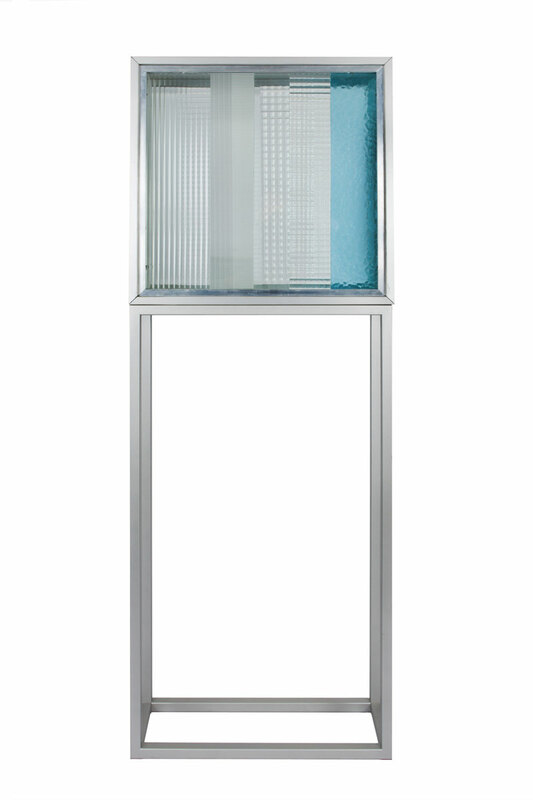 Vigo’s Cronotopo (1965) is placed by the window, allowing light to transform this glass-based work constantly. Gruppo MID’s Generatore di line traccianti (1966) swirls dynamic geometric lines into being at the touch of a button. This playful work is reminiscent of Bernard Aubertin’s Le disque à feu (1961), a disc of matches to be set alight,(for which Cortesi has acquired much archival material) displayed alongside work by Manzoni, the period’s great artistic jester. 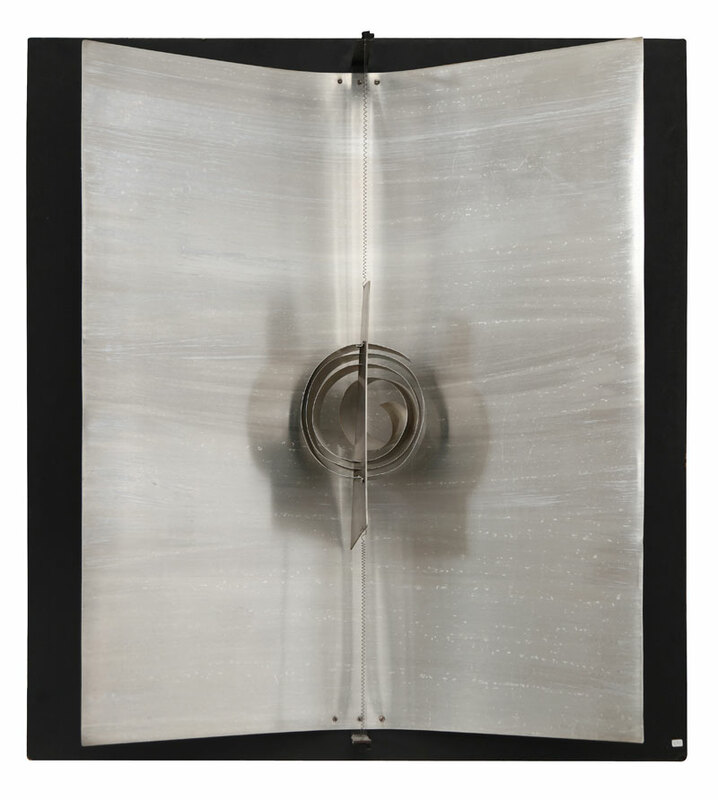 The connection of movement and light in Aubertin’s work is also found in Hermann Goepfert’s Untitled (1965), a subtly-moving aluminium abstract form which darts light off other works in a cluster of metal and mirrored pieces. The gallery’s unusual shape, all nooks and crannies, gives a playful feel to the show and sparks connections between the international works displayed. Stefano Cortesi’s decision to focus on European neo-avant-gardes reflects the current popularity of Italian art in London. He wants to find something else, both culturally and commercially, and feels that more rediscoveries are possible under a broader scope, particularly German and Dutch art. Cortesi is right; Castellani, Dadamaino, Bonalumi and Scheggi have all recently been showcased in London, both in galleries and in the now regular Italian post-war sales. This doesn’t necessarily mean that Italian art is exhausted. Cortesi’s Lugano gallery is currently exhibiting Grazia Varisco – an artist from the Milanese Gruppo T, whose Mercuriale, (1969/70) is on show in the London space – who is little-known outside Italy and has yet to be featured in London Italian sales. Nonetheless, with the influx of Italian dealers to the city set to continue this year, Cortesi’s decision to follow Manzoni’s lead and explore Europe, is opportune. ‘Atmosfera ZERO Great Expectations #2’ is at Cortesi Gallery, London, until 18 July 2015.